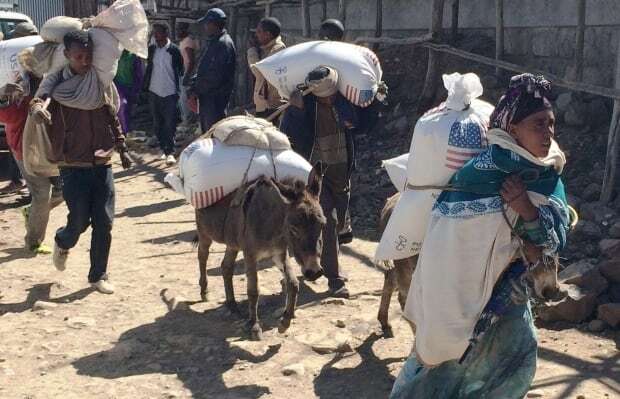 Ethiopia faces worst drought in 50 years, UN warns – Satenaw Ethioopian News & Breaking News: Your right to know! Ethiopia is facing its worst drought in half a century, Save the Children warns ahead of a meeting of world leaders including UN Secretary General Ban Ki-moon, for the 26th African Union Summit in Addis Ababa on Monday. Drought conditions, triggered by the El Nino phenomenon, began in June 2015 in remote northeastern areas of the country, as well as many parts of Somalia and Somaliland, and have spread rapidly to the more populous highlands, leaving an estimated 10.1 million people in need of food aid. Save the Children currently classifies just two global humanitarian crises at the organization’s highest level of emergency — the ongoing war in Syria, and the drought in Ethiopia. In the Mender local health centre in the Afar region, women are desperately queuing to have their sick children seen before it is too late. Selamawit (Name changed to protect identity) is a mother of five children, including baby Mahder (name changed to protect identity) who is being treated for malnutrition. Selamawit left her village to find a job at the local sugar cane factory in Mender and her family have been hit hard by the drought, having lost almost all of their livestock and crops. She now works as a full-time labourer in a sugar cane factory to provide very basic food for her family. “My name is Selamawit and my baby daughter’s name is Mahder. I have five young children aged five, four, three and two years old. Three live at home and the other two live with their grandmother one hour away. “I came to Mender Health Centre for treatment and medicines for Mahder. She is here because she is sick with diarrhea and a fever, and she has just been screened for malnourishment. The health professionals here have identified her case and she’s starting the nutritional treatment now,” she said. Another local resident, Meron (name changed to protect identity), has four children including one-year-old Thomas (name changed to protect identity). Meron’s family, especially her children, have been hit hard by the drought, having lost almost all of their livestock and crops. She also now works as a full-time labourer in a sugar cane factory. “Thomas started feeling sick two weeks ago and he came here with lots of different problems; he was vomiting, had a fever and diarrhea, and he had also lost his appetite and refused breastfeeding. He has now started the nutrition treatment after screening by the doctors here,” Meron said. “He’s improving slightly now, and he doesn’t have diarrhea or fever anymore, but he is not gaining weight. I feel for my baby because he has these problems, and because of this I am sad,” she added. Intervening to save livestock and crops where possible. Supporting families to keep their children in school through the crisis. 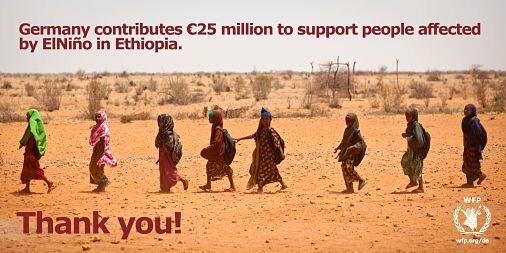 Save the Children estimates 350,000 newborns are expected in drought-affected communities in the six months to August 2016, when Ethiopia’s “hunger season” peaks. The aid agency says the international community needs to immediately increase funding towards the $1.4-billion US drought appeal — which is less than one-third funded to date.